As Central Virginia’s certified AB Chance helical pier dealer, we routinely see homes that need repair, whether the house has settled, the basement has cracked, or the soil for new construction has proven to be unstable for building. On a recent project, we faced a different problem – one that is not uncommon, but maybe isn’t the first application you would think of for our foundation products. 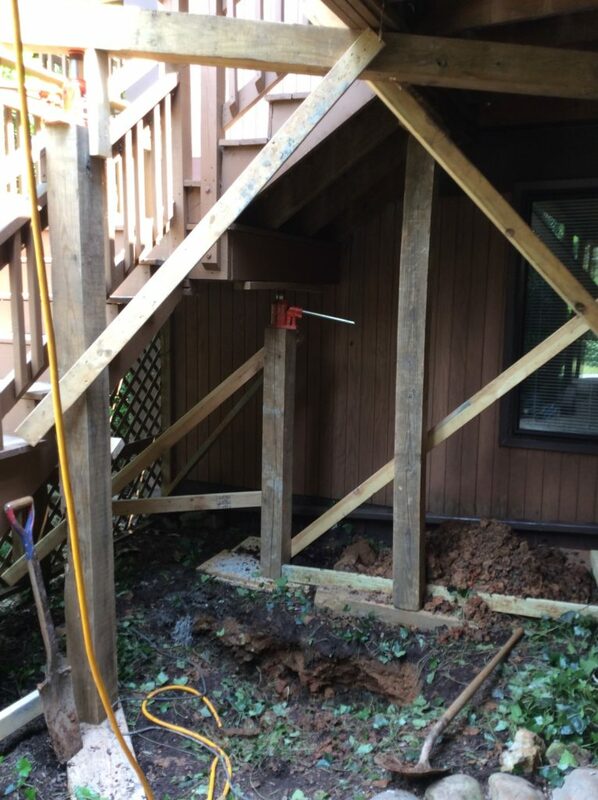 Helical piers solve deck problems, too! At this residence, two deck posts under the steps had settled a lot. The steps needed to be jacked back up to their original position. 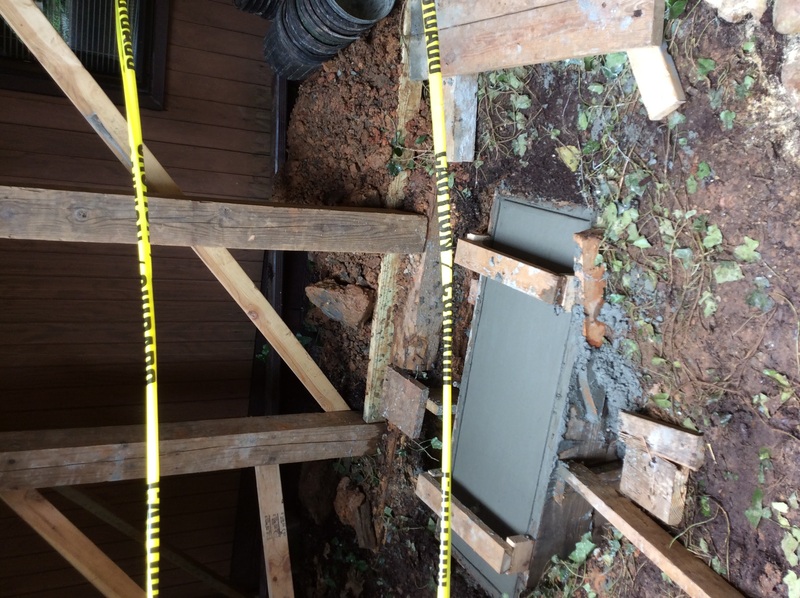 Additionally, to improve the structural integrity of the deck, we needed to make sure the steps wouldn’t settle again. 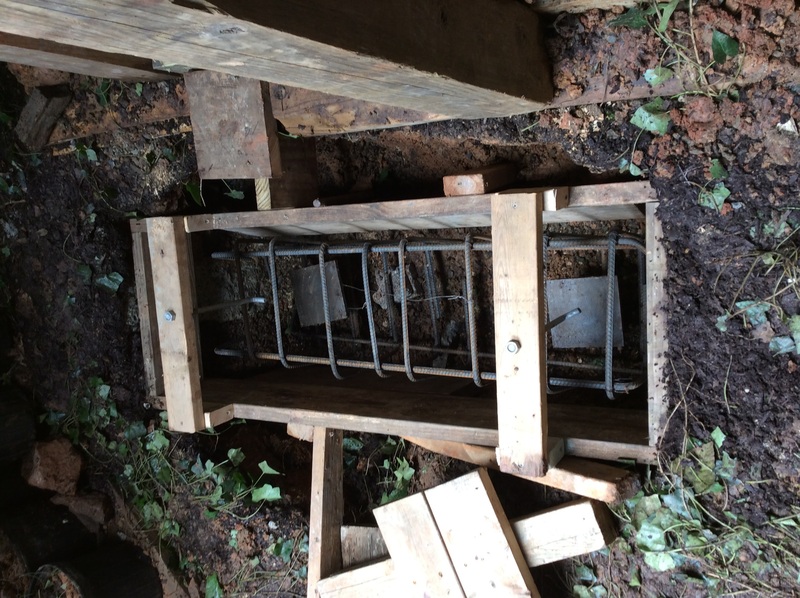 We dug a new footing for the posts, while anchoring the steps temporarily in another location. This job required two helical piers, which we installed easily. We installed re-bar and filled the area with concrete for added strength and stability. You can see in the photo below the square plates of the new construction brackets we used. Even though this home is well-established, this particular job needed new construction brackets. That just goes to show how versatile and innovative the AB Chance foundation products are! 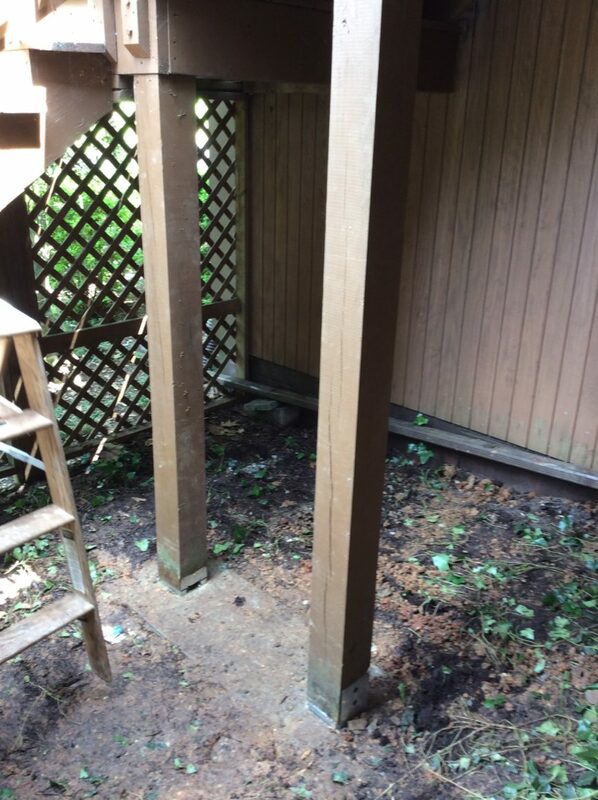 Once the foundation for the posts was in place and the concrete set, we were able to re-position the posts back under the deck in their permanent place. 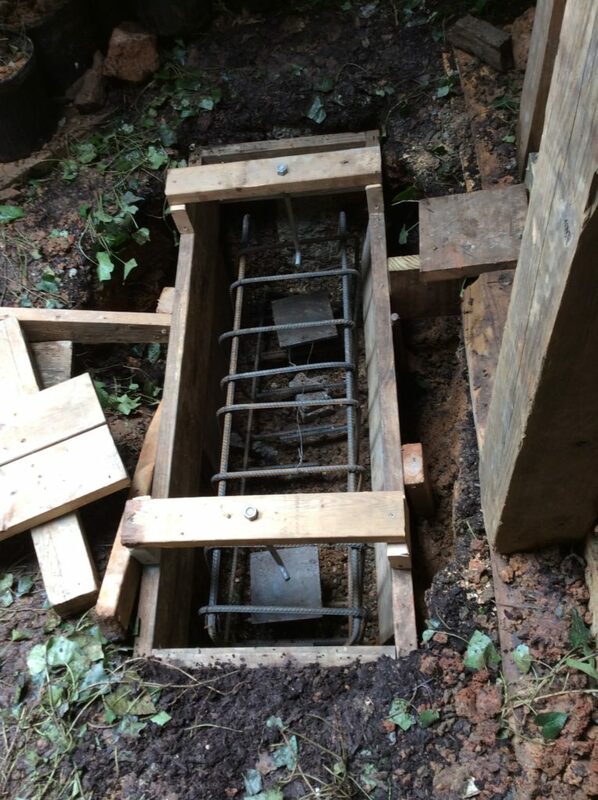 We used elevated post brackets under each post to keep them from sitting directly on the ground. To add stability, we anchored these brackets in the concrete. This small addition will increase the life of the posts as well as the steps. AB Chance foundation products can be used in a variety of ways. Helical piers solve deck problems and many other difficulties that come with owning a home. 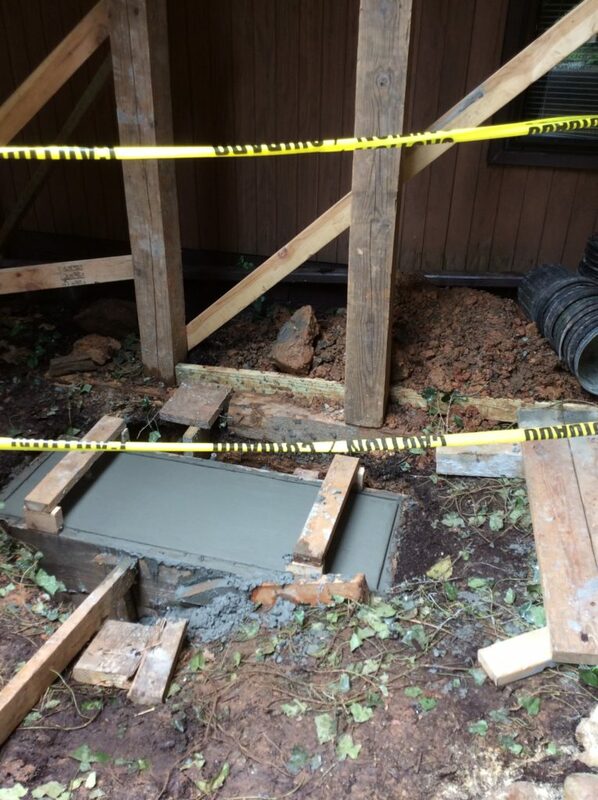 Contact us at 434-293-6724 for a consultation for all of your foundation repair needs!